Avis Turner, was born in upstate New York on Skaneateles Lake; spent her teen years on the North Shore of Boston (Crane's Beach); inhabited Washington, D.C. (Potomac River); returned to New England (Lake Bomoseen, Vermont), ....and now (gratefully) lives in a small village on the coast of Maine. The north side is finally shingled and the front door is fixed! Beautiful! Away from the studio, Avis can be found in her gardens. 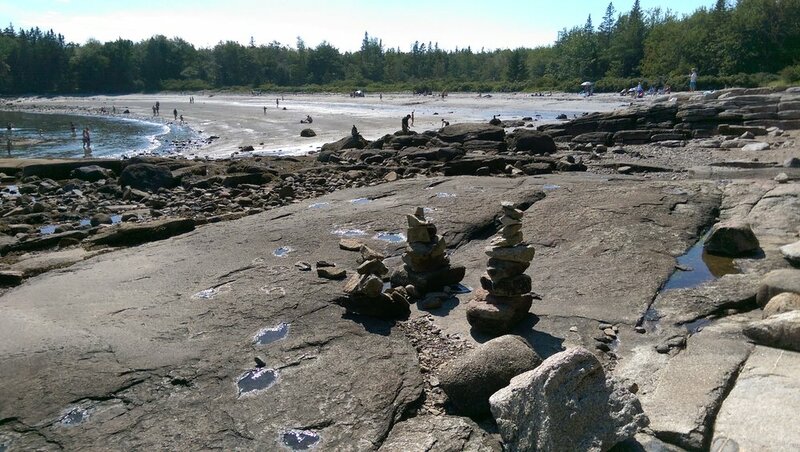 Maine's salt air, changing climates and rocky coastal beaches are the perfect aesthetic for this sculptor. Mornings begin with a beach-walk accompanied by her (adopted) Italian Greyhound and new baby German Shepherd. Avis is classically trained as a figurative bronze sculptor. Her Landscape Mappings reflect interest in environmental issues. She draws, paints & makes etchings. Other art include silk scarves, traditional floor-cloth mats & handmade books. As a teacher, Avis has a background in the Reggio Emilia Atelier method. She enjoys folding poetry, science, math and story telling into her art classes with children. 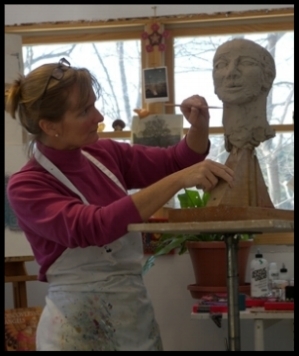 She conducts workshops and private lessons, in the Rockland area, while continuing her own artistic pursuits. Several years ago, she moved t0 Rockland, taking a leap of faith & heart to sell all, and purchase a small cottage by the sea. The house had good bones and a yard for garden, but was built in 1847. Slowly, it has undergone a loving and simple make-over! This "little cottage by the sea" will be my forever-home, says the artist. Avis is embracing her new mid-coast community ~ which is full of fabulous, welcoming, creatives, farmers, fishers, studio artists & musicians.